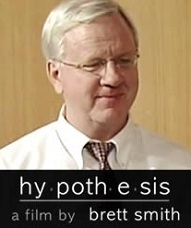 Does Kaku not owe Dr Steven Jones an opportunity to discuss his scientific "Hypothesis", research, and evidence on the show which allowed him to be ridiculed? Kaku has put his scientific reputation on the line by hosting Shermer in such a completely uncritical and endorsing manner. How about some public discussion of an appropriate response to Kaku from the intellectual leadership of the 9/11 Truth movement in numerous countries all at once? He should have Steven Jones and Richard Gage of Architects and Engineers for 9/11 Truth on a special show as well! 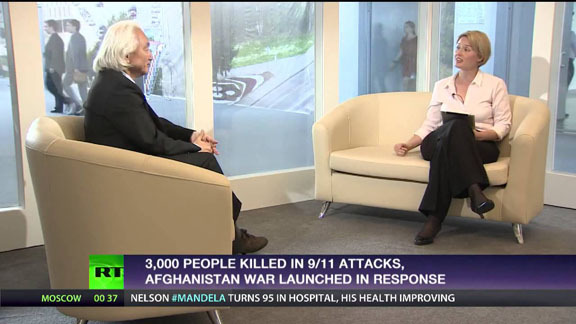 See also Dr Kaku's interview on RT three days later where he really reveals his position on 9/11 in a heated exchange with Oksana Boyko. Kaku is quite combative in this interview with Oksana. He appears majorly unalarmed about NSA gathering of all information. He tries to popularize the notion that we have “democracy” with raging debates that impede us from going to war, then we have the will of the people behind the war, he claims. Oksana says he sounds like George W. Bush and is talking more about “the appearance of democracy”. At one point, he tries to re-popularize the myth that the US was attacked by Muslims directed from Afghanistan, as if that in any way justified the vast bombardment killings and subsequent and continuing occupation of that entire country. Kaku accuses Boyko of equating the failings of “democracy” with the “dark forces of evil and torture”, and he quite deliberately ignores the acknowledeged US use of indefinite “detention” imprisonment, torture, and targeted assassinations, even of US citizens as in the case of the Al Awlakis father and son. Outrageously, Kaku justifies the slaughter and destruction of Iraq because debates and demonstrations had been allowed before it happened! She calls him on that by pointing out that the justifications of weapons of mass destruction turned out to not be true. "Science of Democracy", featuring an interview with Science populizer Dr Michio Kaku 7-19-13 RT Worlds Apart Channel (29:14): "The technological revolution of the 20th century has brought the world unprecedented prosperity as well as unimaginable horrors. Will science liberate humanity or shackle it like never before? 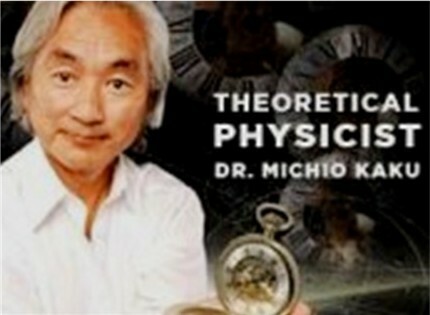 To hash out these issues, Oksana is joined by Dr Michio Kaku, a world-renowned theoretical physicist and author." Yes, I should be given an opportunity to respond if attacked in this manner; did Dr. Kaku even mention my published papers? Here I mention just one -- the paper with Kevin Ryan and James Gourley in The Environmentalist. Surely he is not saying this paper was not peer-reviewed, or that none of my 9/11 research papers have been peer-reviewed? And where is Kaku's peer-reviewed response? ProfJones on Sat, 07/20/2013 - 10:55pm.